I’m Bruno LEVEQUE, Environment Generalist TD in the VFX Industry working mainly on feature films. I’m currently based in Vancouver, BC. I started the WikiFX project in September 2012, while I was still a student. I wanted to have a personal database of VFX Breakdowns and a good idea of all the VFX studios out there. It started with a couple of videos, and we have now reached several thousands of VFX Breakdowns for more than 600 projects and 300 VFX companies. What kind of projects do you feature on WikiFX? I used to feature all kind of projects: feature film, tv series, animated feature, commercial, videogame cinematic, music clip, showreel, […] as far as they were using visual effects and that some quality content is available (VFX Breakdowns, Before/After stills, …). However I’m now mainly focusing on feature film and TV series. A project need to have some quality ‘VFX content’ available to get a page, but I’m thinking about opening a new section for upcoming projects. 99% of the video content is coming from the VFX Studios’ Youtube and Vimeo channels. Information about the VFX Crew are mostly coming from IMDB, as well as from companies’ website. It could happen than some pages are not 100% accurate: Feel free to let me know if you find any inaccuracies or if you want to complete the data. I do not own or host any videos. Can I propose my own content, and how? Of course! All quality content is welcome! Simply drop me a mail by using the contact page, or use the edit forms present on each project page. In the near future, you should also be able to directly create a page for your project. Please share! Share to your colleagues, to your friends. Show the world what VFX are! The best way to help is simply to help me collecting all the data, do not hesitate to share your VFX Breakdowns and details about your project! Then, even though WikiFX is a non-lucrative website, it is not free of charge for me: any donation would help me to pay the web hosting and the different tools required to continue to develop the website. How can I edit a project page? You have to be registered to access to the edit tool. You can create a new user account by clicking on “register” in the top-left menu. You should then be able to see the “Edit Project” button at the bottom of each project page. In the future, being registered will also allow you to add or edit any project or event in the WikiFX database. How WikiFX can be helpful for me? — You are an Artist: find out which company to target if you want to work on a specific project. — You are a VFX Supervisor / Producer: find out how other VFX studios built specific VFX shots and get some help to bid on your projects. — You are a VFX studio: use WikiFX to promote your work to a growing community. — You are planning an Event: share it with the WikiFX community, we are featuring and promoting all the best VFX dedicated events -conferences, festivals, awards, masterclasses, meetup. — You are a Student: help yourself by learning all you can about the VFX Industry before properly integrate it. — You have no direct relation with the VFX Industry: discover all the work behind your favorite movies or TV-Series. What do the technical terms mean? What is the future for WikiFX? 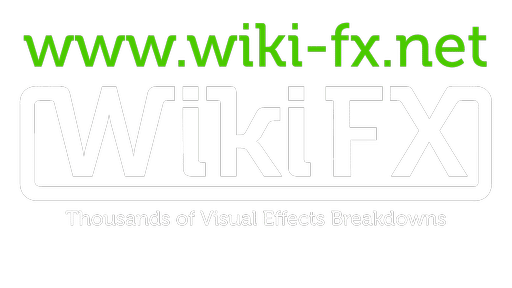 For the last couple of years WikiFX gained more and more features – better project database organisation, before and after stills, events covering, more and more information – but there is still a lot to come. At term I would like to see it as a detailed database of knowledge about the Visual Effects Industry, which will help every single artist or supervisor to develop their project. Also one of the biggest point to develop remains the community part of it, and the sharing of information and knowledge: this new version of the website is developing this aspect by allowing registered users to easily edit the project pages.